It is very difficult to be in the business of selling and providing services and products for various magical and spiritual rituals. These businesses often are looked upon as superstitions and as silly folk lore at best. Often times the products need to be labeled as magical curiosities or curiosities in general as no one can guarantee the results of spell work and herbal uses. When writing a business plan for a new age or spiritual based business its difficult to write about the topics of magic, witchcraft, shamanism, and the like from an objective standpoint. As a business we need to explain why people are buying these products and why people will go to these businesses. One good thing on our side is the fact that the movement for alternative spirituality and spiritual practices is growing every day. More and more people are becoming interested in the various uses of herbs. people are starting to look into making natural and home remedies for things to avoid chemicals and other medicines if possible. More and more people are taking an interest in topics like witchcraft, magic, shamanism, energy work, and the like. It is because of the movements growth that businesses like Mystic Echoes can grow and survive. The movements for magical spirituality and alternative treatments for depression and other issues grows because people are looking for a feeling and sense of control in their lives. Often times in our modern hectic life we can feel as if everything is out of our control. Spiritual practices and religions like Wicca and witchcraft as well as other forms of Ceremonial magic and shamanism can provide a feeling of control over ones life. Practicing magic, meditation, and these alternative spiritual paths provide skills to change thought patterns and effect internal change. By providing these skills and techniques these spiritual and magical practices these paths provide a sense of control over our lives and our directions. These paths teach us skills to care for the mind and the spirit as well as the body and the emotions. These paths also provide often times a sense of a connection to the world around us. The life we live today in modern society is very disconnected from everything else. Through smartphones and basically having wifi signals nearly everywhere humanity has become disconnected from their world and the people around them. These paths allow that connection to occur again. So what benefit do businesses provide these spiritual paths and practices? Why do we need businesses that sell ritual supplies, books and cds on meditation, and other items often associated with new age spiritual paths and practices? There are several. We serve important roles to our local communities. Businesses like Mystic Echoes provide a safe place to ask questions about different practices and different skills. Many stores that have physical locations provide workshops and activities where their patrons can go and learn new skills. These brick and mortar businesses also offer a place for Reiki healers and other alternative energy treatments to provide their services. Businesses that sell and provide services for spiritual works also offer another key thing. That thing is support. 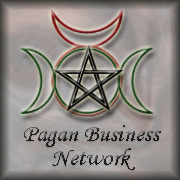 The businesses that support magical practices, meditation, spiritual work, and whole being provide a place where those who are interested in those same topics can gather and have discussions free of persecution and judgement. Online or cyber shops can still provide some of that same support. Online shops like Mystic Echoes can still provide valuable places for information gathering. Through our websites, blogs, and internet presences we can provide places to ask questions and have discussions. Some businesses can even provide reading lists and resources to many different websites and places for further information. Online shops are still useful. In some places its still difficult to enter and go into shops that are associated with magic, witchcraft, the occult and the like. There are still some stigmas associated with these physical shops in areas where online stores provide the resources of materials and products a local brick and mortar store would provide. Some online shops even provide distance healing and psychic readings. Cyber shops can have forums and other places online for community outreach where lessons and workshops can be given. A cyber shop can provide just as many resources to the spiritual communities as brick and mortar stores can, while also providing secrecy and the ability to learn, buy, and engage in the community all from the comfort of your own home. I hope this post has enlightened you as to why people like myself take the time to create and develop businesses like this. I have put a lot of time and effort into creating products that people in the community can use. I spend a lot of time keeping blogs like this providing people with access to information about herbs and skills and spiritual paths. Remember we are here to provide you with a service. Why not take the time to look at our products and test them yourself.